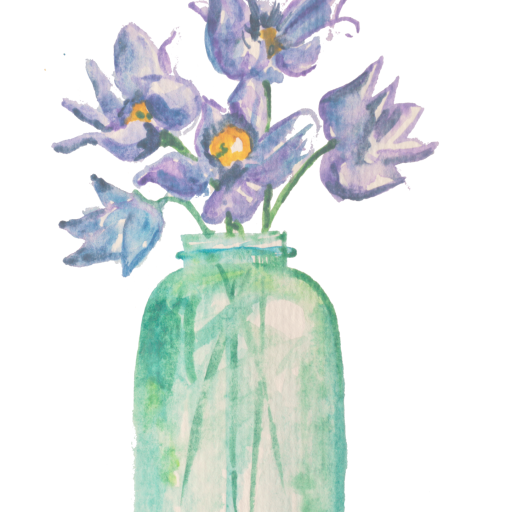 Here’s a gift you many have seen in craft fairs or maybe you even have one already. 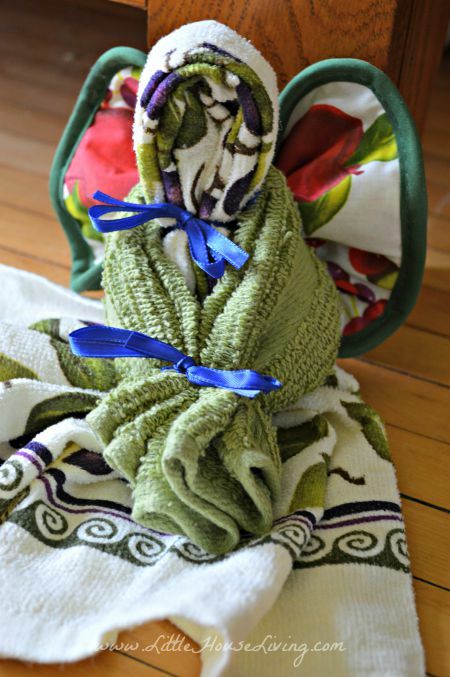 These Dishtowel Angels are inexpensive to make and they give you a chance to be creative with the different towels and cloths you can find. Here’s how to put it together. 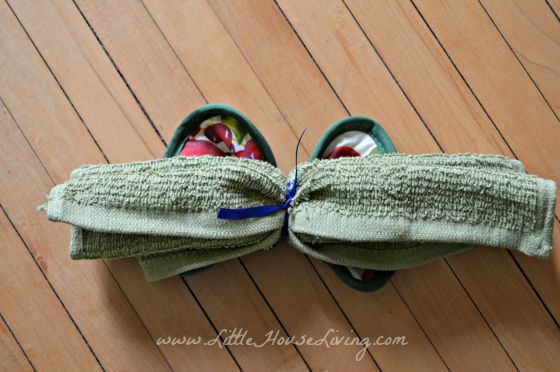 Start by taking the dish towel and folding it accordion style. 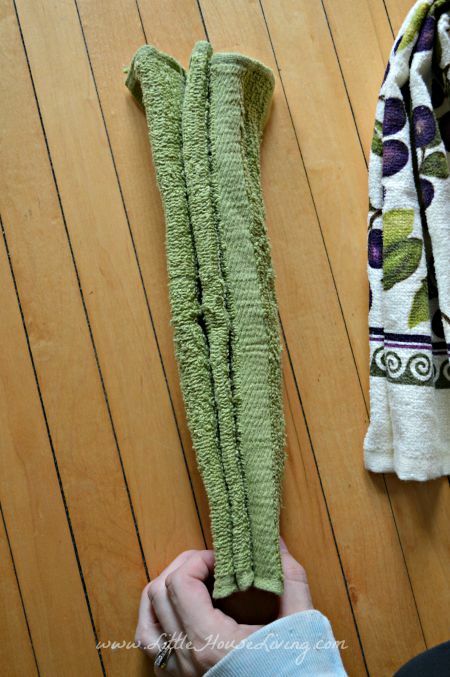 Fold the dish towel in half. Do the same with the washcloth, fold it accordion style. Don’t fold in half like the dish towel though. Scrunch together the middle of the pot holder. 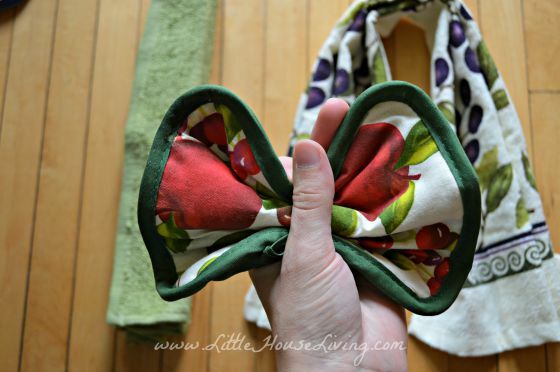 Use the ribbon to tie the folded washcloth to the scrunched pot holder. 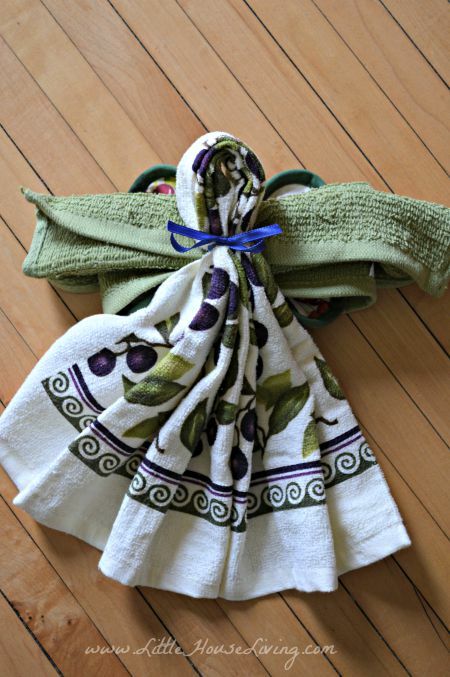 Put the folded dish towel in the center and bring the ribbon ends (from the ribbon that you used to tie the dish cloth to the pot holder) and tie about 2 inches down from the folded center of the towel. Bring the “arms”(dish cloth) around the front and tie with another ribbon around and inch from the ends of the dish cloth. And that’s it! 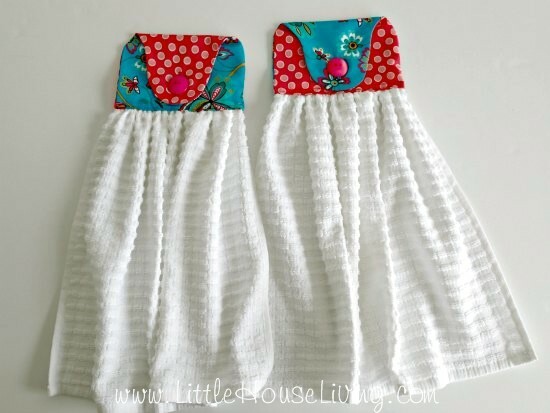 This is such a cute way to give someone some little kitchen or bathroom towels and it’s so easy to put together. You could make it as a stand alone gift or as part of a gift basket. 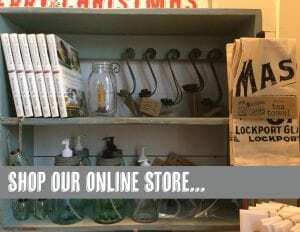 It would fit very nicely into a housewarming or wedding gift basket! 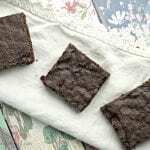 You can find more fun, inexpensive gift ideas here on our Simple Homemade Gifts page or on our Make Your Own page. 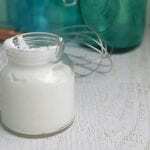 What kinds of homemade gifts are you making this year? 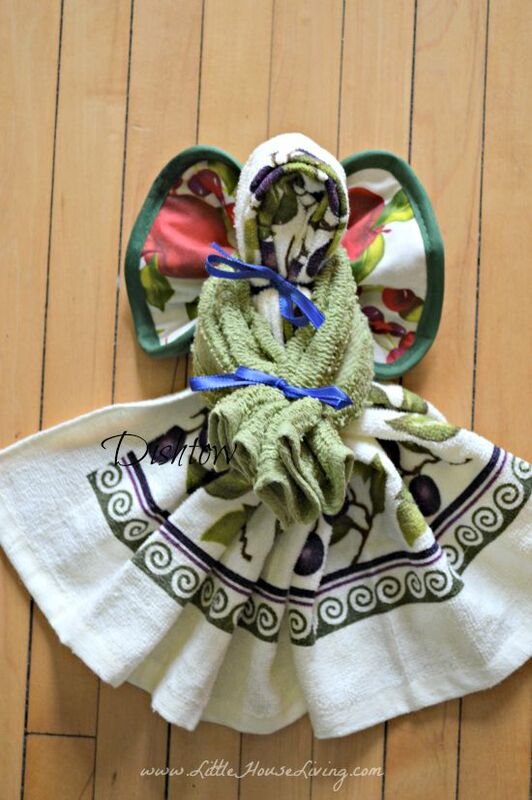 Thanks for posting the pattern of “dish towel angels” I have always wanted to know how to make one. I just tried this pattern. My towels and dishcloths were a bit thick and unwieldy, so I came up with an idea that proved helpful. I grabbed a spool of thread, and as I pleated each piece I wrapped it with thread to hold it in place. That is, once I adjusted the pleated towel so that I liked the shape of the head, I held it in place by wrapping thread around the “neck”. I pleated one end of the dishcloth, and thread-wrapped the “wrist”, repeating on the other end. 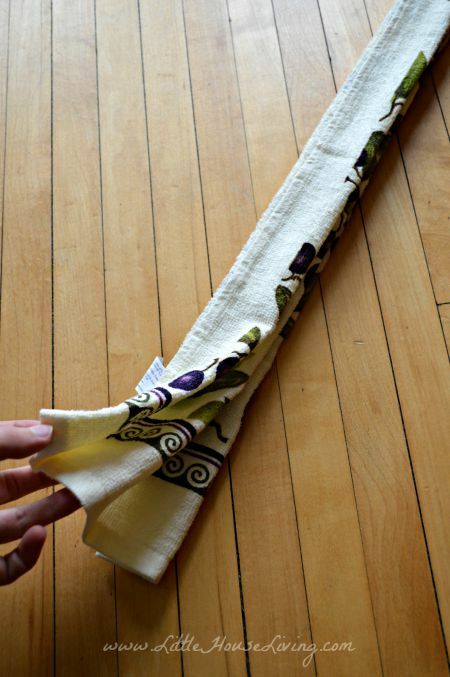 I wrapped the pleated pot holder a few times on either side of the hanging loop. After pleating the center of the dishcloth I lashed the “neck” ribbon to the dishcloth and then the pot holder. Tying this ribbon around the “neck” in a bow also held the “arms” and “wings” on. It was easy to catch the tied-off “wrists” in a ribbon to complete the “angel”. The thread wrapping was a quick motion, holding the tail of the thread against the pleats with my thumb, wrapping the thread around several times and breaking off the thread. It didn’t add much time but greatly reduced my frustration level! 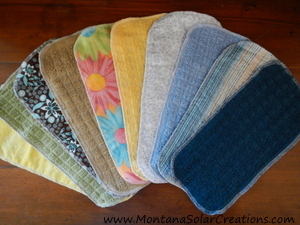 My angels are neat, sturdy, and can be hung by the potholder loop without slipping apart. Thanks for the great pattern! yes, I also did it this way. it helps a lot! I’m confused, whats the difference between a dish towel and a dish cloth? At the very beginning it says I need 1 wash cloth but then does not mentioned it again. These are super nice and I would love to make them as thoughtful, loving yet affordable gifts this year. in my house we dry with the dish towel and use the dish cloth (rag) we say dish rag) to wash dishes. These are enchanting! 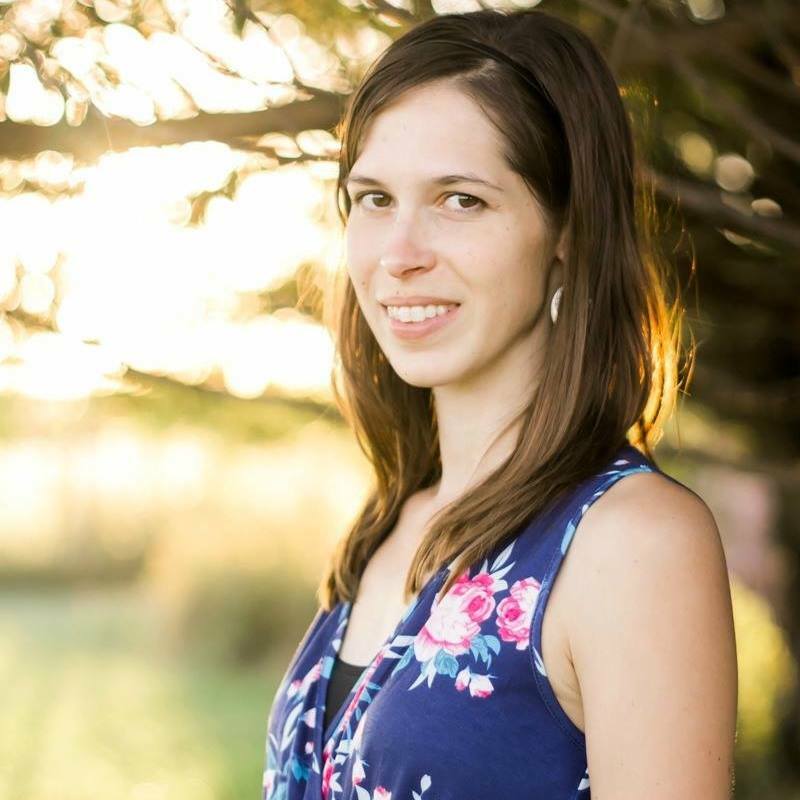 I am trying to have a frugal and/or homemade holiday season as much as possible this year. I love that this gift is both frugal and hand crafted. Thanks for the great idea! Thanks so much for the instructions—so cute and affordable. 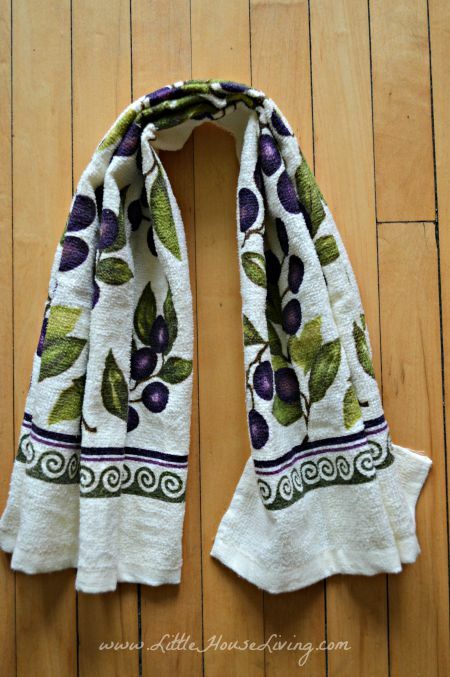 Grandma wanted dishtowels for Christmas – boring! We just made 3 angels out of the dishtowels and potholders. So cute and much less blah! Thanks for the idea! 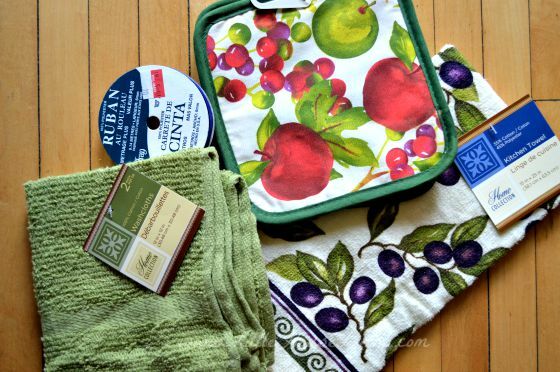 what store are you finding dish cloths and pot holders 2 for a dollar? Very sweet, thanks for sharing!